An important part to any admissions office is that of student recruitment. Continuing to be able to admit new students into a school of course allows that school to continue growing. While it may seem to be a very straightforward process, however, it can still get somewhat tricky. The reasons why is that successful student recruitment involves knowing what the ideal student needs and wants and using that to appeal to those students so that they might choose your school over any other potential choices. Attempting to appeal to a potential consumer of your product (in this case the consumer is the student and the product is an education) is a form of marketing, which means that developing a student recruitment strategy needs to have some level of marketing. Also like marketing is the need to narrow down your target audience for such a strategy. Depending on the school’s needs or desires, the strategy, or the necessary campaign, may differ. 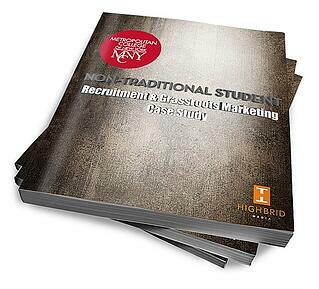 That is why this authoritative guide to student recruitment is the one you need. 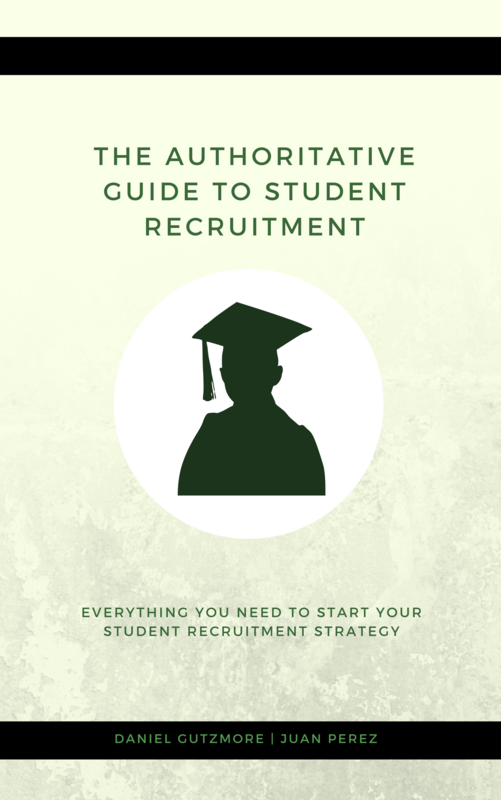 In this guide, we will discuss the 7 most powerful student recruitment niches, as well as the strategies that will help you succeed in reaching out to them. Want to skip to a specific niche? Use our table of contents below to go directly to the type of student recruitment that best reflects your needs or desires. Need an offline copy? Download our free PDF with all the information you see here. What is multicultural student recruitment? What does it mean? Who does it include? The simple answer is that it includes the various melting pot of students you could imagine. Your prospective multicultural student is likely to be sensitive to the messaging you choose to send. This means that not only will they read what you actually say, they’ll read the implication behind what you say as well as the implications behind the implications. That being said, they’ll be able to spot something that’s simply for show from a mile away. Don’t try to fool them. If your focus is on multicultural student recruitment and your school already has a diverse student body, why not share your success in that area by telling the stories of your students' experiences? Put those stories front and center. Don't have those experiences? Then highlight campuses that do. While it may seem as though you're sending prospective students to the competition, what you're really doing is showing those students that you understand the needs of multicultural students, or that you are completely committed to transforming your school into the most ideal situation for the multicultural student. As they say, if at first you don't succeed, try and try again. Whenever it comes to something diversity, incidents happen where outrage then ensues and the company to institution behind the incident make apologies and promises of improvement that they eventually forget about or abandon until the next incident. What this means for anyone who is serious about bettering the multicultural present at their institution is that you need commitment. While it would be nice to be successful on your first try, chances are you'll fail. The important part is that you dust yourself off, and go out and try again. Then, you keep trying until what you have is a successful well-oiled machine. Use input from multicultural faculty and staff. Another key element is to have built in advocates for your multicultural recruitment effort. Where better for that to come from than from multicultural faculty and staff? Having people within your organization that look like or have similar experiences to the students your trying to recruitment is a necessary aspect. In addition, the faculty and staff are invested in the success of your recruitment efforts and can be great sources for the steps you should take, the language you use and the things that you should absolutely avoid. Do not use generalizations when attempting to reach out to multicultural students, as that will be a complete turn off. Know what you're talking about by doing your research, asking questions and conducting focus groups. Get the insight you need without making potentially offensive assumptions about the group your outreach is tailored to. According to a Pew Research study, In 2014, 35% of Hispanics ages 18 to 24 were enrolled in a two- or four-year college, up from 22% in 1993 or an increase of 2.3 million Hispanic college students. During this time, blacks increased 8% and whites only 5%. According to the Hispanic Federation and Nielsen, nearly 1.2 million Latinos have at least some college education and nearly one million reported being high school graduates. If it's true that 1 in 6 Americans in this country is now Latino, competing to educate them should be one of your top priorities. Education is not a personal decision. Hispanics are more likely than any other demographic to be living at home in a multi-generational household. Family is everything. They’re easily persuaded by family when it comes to their purchasing decisions and value spending time with their children over everything. For the Latino family, it's often a culmination of years of hard work and sacrifice and the decision-making process is not to be taken lightly. Ultimately, the decision is based on how it will affect the household. While one might think future gains might be an incentive, the effects on the household in the present take priority. Consider a strategy that engages not only the prospective student but also the family. Open House events should be family friendly. While students are often fluent in English, parents and older relatives tend to speak little or no English. Consider hosting Spanish recruitment events and reserving physical space in the admissions department that accommodates a large family. While its the student's education, they'll often defer to elders when asking questions and sharing concerns. Perspective is incredibly important in Hispanic student recruitment. Seeing the process through their lens and experience is key. For Hispanics, the educational experience is on par with the scholastic. While academics certainly are going to be a leading factor for the aforementioned decision-making unit, access to ethnocentric amenities, proximity to home and communication with loved ones are sure to be concerned that will need to be addressed. However, don't forget the importance of your institution's student life. Hispanic college students are very active in extracurricular activities. Equally as important is the cultural experience. Is the food, music and culture representative of what they're used to? Latino families are very close-knit and they want to make sure their sons and daughters that go off to college don't go without or lose touch with the cultural experience. Consider infusing more authentic Latin cuisine in cafeteria menus, welcoming historically Hispanic fraternities and sororities and highlighting them as your competitive advantage. Hispanics are significantly less likely than other groups to have student debt. About 22% of young Hispanic households have student loans. The share is nearly twice as high among young white households (42%) and young black households (40%). Latinos are less likely to use credit or loans including student loans. College buying decisions are often based on what they can pay for in cash. As a result, Latinos are more likely than others to attend community colleges, which generally have lower tuition than four-year schools or decline to pursue a degree altogether. Historically, this phenomenon has created the perception that Hispanics are less qualified for 4-year state and pricier private institutions. This is actually not true and could provide you a competitive recruitment advantage. This fallacy has left a rich pool of would-be applicants that need the right incentive and solution. Consider leading with scholarship offerings above all features and benefits. Over communicate the difference between grants and loans. Remember, those influencing buying decisions at home are often unfamiliar with the enrollment process. Create Spanish language collateral that empowers Latino prospects to educate their family about the benefits of college and how to afford it. Non-traditional students are growing in this country at an exponential rate and Hispanics are comprising of a great percentage of them. As previously discussed, Hispanic aversion to loans means they're more likely to classify as non-traditional, prioritizing income often ahead of education. Balancing life and school is the norm for Latino college students. This provides many clues on where to find them. Consider partnering with some of the larger employers in close proximity to the school. Think about providing skills training and certificate programs that can assist local full-time employees and entice them to consider pursuing a college education as a professional tool for advancement. Highbrid conducted one such program that is outlined in this case study. Consider the art of the deal. Whether clipping coupons or making large purchases, Hispanics, by nature are always in the hunt for a great deal. According to a Viant survey, 92% of Hispanics report they make buying decisions based their ability to use a coupon. This comes from the long traditions of the "old country" where no price was fixed and haggling in the marketplace was expected. Value creation, even if only in perception, is not to be discounted (no pun intended) when recruiting Hispanic students. Its vital that your recruitment strategy considers it through their lens. For most prospective Hispanic students, selecting a college is not unlike another shopping experience, albeit perhaps one of the most important. Now I know you're probably cringing reading this with visions of a tuition red tag sale. This would fly in the face of history and tradition at many of our nation's top institutions. However, consider how to use tools like application fee waivers, free or enhanced meal plans, upgraded housing to build value instead of discounts. Empower your admissions departments to use these as incentives to close the prospect. Allowing the prospective student to feel like they negotiated a better deal will help you recruit more and better quality, Hispanic students. Hispanic student recruitment is not new but historically has been overlooked by most colleges and universities. As the demographic chemistry of American communities continues to shift, so will the diversity at the college level. With declining or slow growth in the traditional student population, your recruitment campaign can't just acknowledge the Hispanic Student it must actively recruit them. The concept of diversity inclusion is no longer simply a marketing tool. With the recent demographic changes over the last 10 years and emergence of strategic foreign markets, corporate diversity is no longer a badge of honor but rather a necessity. Today’s colleges increasingly serve as a developmental minor leagues for the American workforce. However turbulent seas are on the horizon. In response, international student recruitment agencies have emerged as a vital tool to compete for the right to educate tomorrow’s leaders. The internet and current digital revolution has allowed many foreign markets to emerge, seemingly overnight, closing the skill gap that the United States workforce enjoyed for many years. In response, American corporations are now recruiting employees not just based on job skillsets but cultural experience and language proficiency, which affords them greater reach for the business. Increasingly, innovating organizations are seeing value in force feeding diversity within group dynamics in effort to produce more creative outcomes. In response, old colleges enrollment practices have been flipped on their head. No longer is the focus on creating an efficient system of enrolling the profile of the traditional student. Admissions departments have now shifted to a marketing and active recruitment model where the college must do outreach in underserved markets, the largest and most underserved of which being, the global market. In 2016, 1.2 million international students attended American colleges and universities. That is an increase of 6.5 percent from the year before and the highest number ever. In fact, outside of a brief pause after the 9/11 terrorist attacks, the number of international students in the United States has been climbing for over 40 years. Student recruitment is an art. In many instances, admissions departments lack the resources to effectively recruit domestic students in a competitive landscape. Would-be low hanging fruit abroad is left to rot on the vine. An investment in a student recruitment agency specializing in international students is smart business. In many cases, they are able to mirror your efforts and institutional branding in a packaging that resonates oversees. There a very specific challenges international students have, other than student visas, like housing and financial aid, that your agency will have experience in helping potential students to overcome. While President Trump’s executive order doesn’t entirely close the borders, it has created an overall perception among the international community that foreigners aren’t welcome, including international students. Right or wrong, this is the perception. Agencies focused on international student recruitment are adept at helping would-be students navigate the misinformation. Many such agencies take a boots-on-the-ground approach. By appealing to students and literally holding their hand through the process, schools witness far less of a drop-off in applications vs. those that are represented by a voice that is literally an ocean away. Contrary to commonly held beliefs, being fluent in English or even proficient in the language, is rarely a prerequisite to applying or attending an American college. For many STEM specific tracts for instance, one could receive a graduate level degree without being able to speak a word of English. For many international students, this is a perceived disqualifier. However, with almost every institution of higher learning having comprehensive English for Speakers of Other Languages (ESOL) programs, bilingual tutors, translators and technology, those hurdles are mere obstacles. International student recruitment agencies are highly skilled at producing, and delivering engaging marketing materials that connect not only in-language but are culturally relative. As with any international marketing effort, a sustained presence is imperative. The concept of impulse buying behavior is a concept that is quite unique to the American capitalistic society. In many international cultures, the brand relationship is often a lifelong commitment between buyer and seller, one that has been nurtured and fostered over many years and often generations. High impact campaigns won’t have much success, especially with a purchase as large an investment as higher education. Some families may mortgage the home and their future to send one child to an American college. An international student recruitment agency understands the cultural needs of each foreign market and can recruit accordingly. While President Trump’s travel ban only affects a small percentage of the world, its impact has been felt globally. For the first time in generations, international applications to college have dropped. For many institutions reliant on international students, outsourcing recruitment efforts is not just a road to success but an investment in future returns. For the last 13 years, the number of online classes has risen. No longer is college reserved for the recent high school graduate. The internet has made it possible for single parents caring for young children, professionals working full-time, senior citizens looking to learn a new discipline and even those living thousands of miles from campus to take college-level classes. According to “Online Report Card: Tracking Online Education in the United States” a survey of higher education by the Babson Survey Research Group, the number of students in 2015 taking online courses in the U.S. grew to 5.8 million. Today, over 28% of higher education students are enrolled in the least one online course. For recruiters coveting these online students, the ways of old-school brick-and-mortar admissions require a new strategy and it's easy to make simple mistakes. One focused on the way in which online students interact and base their buying decisions…the internet. For over a decade we’ve been successful recruiting these students before it was in vogue. Along the way, we’ve learned a lot and here are our top for secrets to online student recruitment. With any marketing initiative, it’s impossible to measure success if you don’t have goals. Without them, we tend to praise and reward activities that might not actually be helpful. It's not only important to set goals but to set SMART goals. SMART stands for Specific, Measurable, Attainable, Relevant and Timely goals. As an online student recruiter, you might have goals for Visitors, Contacts, and Applicants for the year, quarter, or month and the numbers are closely related to each other. Focusing on one of these specific segments gives the clearest vision of success. Every effective recruitment campaign has to have a clear vision of who it's targeting. Creating a fictional, generalized representations of your ideal student helps everyone involved in the recruitment process. Inbound marketers call these Buyer Personas. In education, we can call them Student Personas. Having a deep understanding of your student personas is critical to creating a digital environment that attracts online students. To create an effective student persona, you have to present the right information about the right people in a way that helps everyone involved in your online student recruitment process know their target student better than they know themselves. Start with your current students. Find some common characteristics that make them the ideal student. Who they are, what they like, what drives them. If you need help developing a list of questions you should ask, use this guide as a baseline. Once you have a student persona, you’re ready to build a campaign. Search engines like Google, YouTube or social media platforms like Facebook and Instagram now give you the option to pay for traffic. While in most cases, a well-optimized campaign can benefit from paid traffic, you have to invest in an organic strategy as well if you want to capture online students. It may take some time and some expertise to optimize your site into a well-oiled SEO machine but it’s an investment that is well worth it. For the savvy student recruiter, organic traffic is the holy grail. Organic traffic is defined as the visitors that visit your site via a search query on an engine, such as Google or Bing for information contained on your site. By doing keyword research on the search terms your online student personas like to use, you will determine which keywords are most important to your recruitment efforts. Using tracking tools like Google Analytics or Hubspot, you can track the performance of your targeted keywords and see how you’re currently ranking for those terms, their monthly search volume and even how difficult it is to attain a higher ranking. It’s easy to get seduced by these results so it’s important to focus on a core group of keywords directly tied to your predefined SMART Goals. Based on the keyword research and your goals, conduct an audit of all the content you’ve developed online or elsewhere. Have you produced relevant photos, videos, testimonials, etc.? Catalog all of that content. You may be able to easily repurpose it. The internet feeds off of data and Google and other search engines like sites with more engaging content. Just because it’s old doesn’t mean it’s not valuable or useful. Never remove old content from your site, only archive it. By removing content and pages from your site, you may be deleting an inbound link which helps your site’s authority which helps prospective students find you. You want to receive SEO credit for all your hard work. Students who elect to pursue their education online also conduct much of their business there as well. Your campaign must be respectful of their time and expectations. Well designed and streamlined landing pages are a great tool when engaging prospective online students. Unlike directing traffic to your home page, Landing pages allow you to curate and only deliver content to visitors that they care about. Consider developing a new landing page for each student persona you are looking to attract. A landing page catering to prospective students interested in your accelerated MBA program shouldn’t speak to your nursing degree or financial aid. Keep your content short and on-topic with a clear call-to-action. Your landing page shouldn’t even include a navigation bar or social media share icons. The goal is to simply present an offer that is redeemable by filling out a short form included on the page. Visitors shouldn’t have a way to leave until they’ve completed the task. In this transaction, targeted visitors get something, say an application fee waiver, and you have developed a lead. If you’re doing a great job of attracting traffic by paid or organic means, this can be a very high producing and repeatable strategy. Don’t forget to fulfill the promise by setting up an automated email with the offer attached or a download link. Either way, you should consider setting up a Thank You page that visitors will navigate to upon filling out your form. This should say Thank You and give the prospective student and an opportunity to browse your programs or perhaps even convert further by setting an admissions appointment or even filling out an application. With the convenience now offered with online classes, students recruitment must, at least in part, be comprised of a digital strategy. With so many competing interests, shortened attention spans and the on-demand world we live in, it will never be easy. 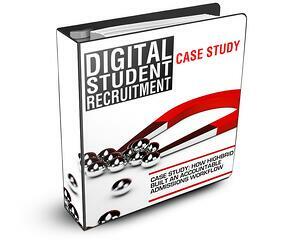 However, with lower costs per impression and incredibly accurate digital tracking tools, the confidence in a well-crafted online student recruitment campaign should be high. In the super advanced and ever changing landscape that is student recruitment, admissions dept's from private prep and parochial schools all the way through post graduate universities have to always recruit the next class of students in an endless cycle to keep seats filled and the institution functioning at a high level. Often times in this pursuit the immediate areas surrounding the institution go overlooked and enrollment personnel and admissions dept's are swamped with priorities and other administrative functions that wouldn't allow for them to put together a strategy to target this group. This is where Hyperlocal Student Recruitment Agencies can be of tremendous help. This type of agency has the resources and know how to dedicate cultivating and executing recruitment campaigns focused on talent within the immediate areas surrounding the institution. From Building community support to the knowledge of the surrounding area and the demographics there are numerous reasons for administrators and departments tasked with student enrollment and admissions to use a Hyperlocal Student Recruitment Agency. We've highlighted seven reasons that are important. Talent pool close to school. For a number of institutions especially those based in denser areas and city populations there are many talented and gifted prospective students in the immediate area. Even form the perspective of establishing/maintaining a strong foundation which we'll expand on later in this piece. It makes perfect sense to look at the immediate area talent and recruit from that pool of talent. Hyperlocal student recruitment agencies are going to be adept at tapping into pipelines of talent that are right there under your nose. An institution doesn't stand on its own. Obviously the physical building(s) are in the community but the institution itself and the people who work and go their for a quality education are part of that community as well. If that support isn't felt or connection being made with the immediate community a recruitment agency focused locally can help with innovative programs built to gain that community support. This is going to be extremely important form a development point of view. If an institution wants to make a big change for example expanding the campus or bringing in controversial lecturers or speakers amongst other things your not only going to need the support of students and faculty but of the local community as well. An agency can guarantee that support is built over time and the institution is able to lean on those relationships for their benefit and the communities benefit as well. Team on the ground without spreading admissions department thin. If you've ever worked in enrollment or admissions you know that not only is it a very difficult role but some would equate it to the central nervous system of a school or university. It has too many functions usually and at some point during their time at the school interacts with every single student often time parents and caregivers as well. Admissions and enrollment departments are always under a tremendous amount of pressure and tight deadlines to recruit, accept and enroll a specific number of students each semester/quarter/year depending on the structure of the school. Bringing in hyperlocal student recruitment agencies can relive a tremendous amount of pressure off of the admissions dept helping them to focus on enrollment processes and making the student transition into life at the institutions as smooth as possible. A recruitment agency put systems in place to ensure once a prospective student shows interest by the time they are in contact with admissions that this student has been prepped, vetted and is ready to be integrated into the school system and culture. This will free up your enrollment and admissions folks to focus on cultivation and growth. If your using a local agency the recruitment efforts that yield students form immediate and surrounding areas will provide a better return on relationship and on investment. Think of it as the same model you see in the local and sustainable restaurants or food market. The closer you're able to source your prospects the less it costs to provide your service, in this instance education. This can lead to a reduction in costs for your service which builds better relationships with the customer base or allows a more profitable operation and those additional proceeds can be used to enhance the experience of students faculty and staff. Either Way positive returns can be experienced when choosing this path. As the your Hyperlocal recruitment efforts build and grow, those recruited students then graduate and become alumni. Now they have two connections one to the community itself the other to the educational institution which they attended in that community. As school administrators you understand the role a robust Alumni can play with institutional advancement, recruiting, supporting sports teams etc. Access to and keeping alumni engaged can be a difficult tasks and often times institutions have entire departments dedicated to making sure this connection takes place. Having an alumni base that's in close proximity whether it be physically or emotionally is a great way to continue that engagement and build support for a lot of efforts that take place at the school. Knowledge of area and demographics. A Local Agency by nature is going to specialize in a micro focus on area demographics and psychographics and have insights into behavior patterns and habits that the can then leverage on your behalf. Positioning the school in the right place right time isn't going to come by happenstance or a miracle but from having knowledge and research available that will help guide the decisions of when and where placements should take place, activations should happen and how the target demo is going to best react to these efforts. This also ties back to the earlier point about return on investment. Leverage agencies relationships in favor of the school. Companies and in this instance Educational institutions can execute marketing and advertising efforts on their own and have success as well, but it's not their primary function. An agency whose only concentration is going to be on student recruitment already has relationships in place with media companies and other vendors that it can leverage for recruitment efforts on the schools behalf. Often times they are purchasing media or receiving mentions for multiple clients and can attain more favorable rates and in many instances bonus spots that can be used for a recruitment campaign that the institution doing a one off is not going to be able to access. Student recruitment is absolutely necessary for most institutions. In many instances there's a lot of ground to cover and not enough resources to do so. Having a narrower focus and bringing in an agency can help alleviate some of the pressures on enrollment and admissions department and have superb results that grow from year to year. Do you have experience or insight working with recruitment agencies please share with us in the comment section. Student Recruitment has always been a challenging and ongoing process, and as cultural and social norms transform society at large schools are affected by the type of student they need to prospect and recruit. Non-Traditional students make up a significant portion of student bodies in the current day and attracting this student can seem overwhelming. Non-traditional student recruitment requires careful planning and imagination, these students have different lifestyles, come from a myriad of different backgrounds and amenities such as flexible class schedules or childcare provided by the institution can sway decision making when picking an institution. You may offer these options but what are the ways your admissions/recruitment department or agency is letting prospects in the non traditional space know that these are options for them. Non-Traditional students often times come from backgrounds that don't have a foothold in the educational system. They're not aware of how to navigate their way into an institution that's beneficial for them and can be instrumental in progressing through life. It's not lack of desire, it's lack of access and knowledge. To engage this type of student Grassroots marketing or as we like to call it "Hand to Hand Combat" is a very effective tool. Having Brand ambassadors that can literally go into neighborhoods where this non traditional student is and speak to the virtues of the institution, answer questions, and provide guidance will go a long way when dealing with non-traditional student recruitment. This audience is also extremely brand loyal and viral, grassroots efforts can give your institution a reputation in this community as a trusted source for a quality education. Once that baseline is established your efforts will be rewarded with continuous opportunities to engage and recruit among this audience. It's implied in the name, to reach a nontraditional student it makes sense to use non traditional media. As indicated in the last paragraph the Non-Traditional Student is fluid never stagnant. They're not consuming traditional media in traditional ways. When buying or planning media for non traditional student recruitment mediums such as digital signage, commuter van advertising, ethnic/nationalistic newspapers, publications and television among other "outside the box" type of media are those that should be a major part of your buy. When selecting this media don't be constrained or enslaved to norms in terms of metrics and other performance indicators such as CPM. Non-traditional media is all about quality not necessarily quantity. Direct access to an audience otherwise elusive and skeptical of traditional media messages. Influencer marketing has grown in popularity in the last few years and it is increasingly effective among non-traditional audiences. As an extension of grassroots efforts, key influencers can carry the message of the institution and deliver it to non-traditional students in a way that's meticulous and precise. As mentioned before these audiences are extremely brand loyal, loyalty via proxy utilizing an influencer may be an easier hill to climb then attempting to build that affinity on your own. Social Media platforms those well known and others more obscure are easy ways to find influencers and use their built out channels to reach the audience. But offline influencer marketing programs can be as effective and a great extension of the hand to hand piece of any grassroots efforts. As the Non-Traditional student becomes the norm grassroots, influencer, and alternative media are going to become staples of any institutions recruitment program. Long gone are the days of High School Fairs and lackluster open houses. A robust dynamic student recruitment effort needs to be in place for the institution to be competitive in this changing landscape. In the last few years the growth in the number of private schools on all levels from Pre-K all the way through post-secondary education has been tremendous. Prospective students and their parents not only have more schools to choose from, but they also have more information about these schools, are much more savvy about researching their choices, and scrutinize those choices using the info at their fingertips. In this new landscape admissions and recruitment staff and recruitment agencies need to be diligent in their recruitment efforts and looks for ways to improve those efforts, there are 5 ways to improve Private School Recruitment. Highlight programs that separate you from the competition. The Private school landscape is ultra competitive. For parents and prospective students it's the distinct differences between choices that favor that prospective students interest that will make the difference in what school they choose, it isn't always academic programs either. Do you have award winning or highly recognized programs like Art, Drama, Debate, Music etc. Do you have high performing or championship winning athletics. These are the programs you should highlight in all of your communications with prospective students and families. The most successful pro and college level sports teams all have one thing in common. They consistently and effectively create pipelines for talent development that eventually become participants and stars on their respective teams. Whether it's minor league baseball or the NBA development league or the NCAA, pro teams have these pipelines to develop and recruit talent so they can either continue a winning tradition or build a winning team where one didn't exist prior. The Same thing can be replicated in Private School Student Recruitment. Develop relationships with other lower level schools and community programs that have access to talented students. If your a private High School develop a relationship with the best public middle schools, if you're a private elementary schools develop and recruit from CHild care centers etc. Put training programs and information sessions in place to develop this talent, and create a step by step system where this talent could eventually be accepted into the school and be successful while they are there. Engage parents and students simultaneously. Even when a student is on a full scholarship they're still costs that their parents or guardians are going to incur. If there is no financial assistance obviously the parents/guardians usually pay the tuition so obviously you must engage the parent with recruitment efforts, but don't neglect the actual user of the service which is the child. A successful recruitment technique is dual engagement parent and student at the same time. In correspondence with parents you may want to highlight academics and financial obligations or aid. With the student your messaging may be geared toward life on campus or activities outside of the classroom. This Multi-pronged approach can help bring both sides of this prospecting coin parent and student to one accord. Accessibility to campus and staff. Access is everything nowadays, people have gotten used to receiving things as soon as they want them. Want the latest news? Open Your Phone! Want the latest item of clothing or shoes Amazon will have it to you same day or next day. This level of expectation extends to the school and it's recruitment efforts. Your Campus has to be immediately accessible and open past the normal Sunday Open Houses and your staff must be available at all times to answer questions and inquiries. Technology can certainly help in this effort to be more accessible. Basic Public Relations and community outreach campaigns can go a long way in student recruitment. Curate an image for the institution, what is your mission statement. Are there causes or other community based non profit organizations that you can Align the school with that will endear it to prospective students and parents? The perception of the type of institution it is and what it stands for is a key element in Private School Student Recruitment. Ready to make some changes to your student recruitment strategies?